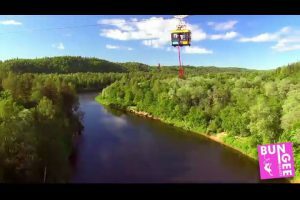 BUNGEE JUMPING SEASON OPENS APRIL 20! 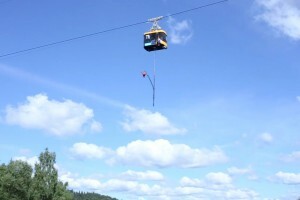 where jumps are organised from 43 m high cable car over the beautiful scenery found at the Gauja National Park. We work with a positively “crazy” client every day, and we like to seem crazy… However, SAFETY is our main priority for each and every jump. Our technology and equipment are developed strictly, following the requirements set by standards for mountaineering and climbing. In fact, when tested, our equipment exceeded the safety reserve margin by 7-20 times… Since 1992, we have provided this opportunity to safely fulfil this memorable adventure to more than 100’000 people! Since 2014, our knowledge and technology have also been used also in NEPAL.